FIFA 19 is a soccer game, for the last few people out there who’ve avoided the digital pitch. But it is more than just a simple game, bolstered by years of fine-tuned controls and features that make the action in-game entirely in your control. FIFA games do not change much, so when you see a new release every year there is little reason, logically, to jump aboard the next. Unlike other, more flawed sporting titles, FIFA is near perfect year after year, so the catalyst of “maybe this year they didn’t screw it up” doesn’t apply. FIFA 18 introduced a episodic dramedy regarding the lives of three soccer “heroes” which is continued in FIFA 19, but besides that does the game have any other tantalizing updates for us? The answer, to my surprise, is a easy yes. The controls in FIFA 19 have been tuned again, utilizing a touch control system for specialized passing, dribbling and shooting. These controls are highly advanced and complicated, so most players will never fully be able to take advantage. However for the best of the best, these touch controls put logically fluid motions in the palm of your hand and easily can be the difference between a good or bad run up the field. Another big change to controls is a double tap system for precise timed shots. If you are like me and frantically mash the shoot button you’ll absolutely need to break that habit. The timed shot system is hard to determine fully if it works, but missing the rhythm of the shot has catastrophic consequences for your attempt. Most of the game modes available are unchanged. 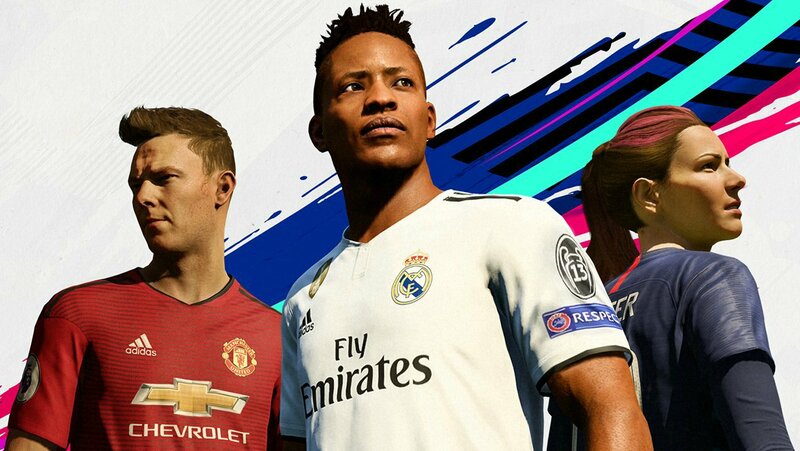 A career mode allowing for control of a single player or the manager of a club, the FIFA ultimate team, and a tournament mode, though now branded as a partnership with UEFA all remain mostly unchanged. The UEFA partnership also integrates the Europa and Super Cup into the career mode, which is a nice touch. Ultimate team has a new section for matchmaking similar skill leveled players and this is a simple and smart idea to curb uneven matches, though it does create a ripe playground for smurf accounts. The big shifts have surprisingly come via the standard play now mode, called “Kick Off.” FIFA 19 introduces house rules and advantage settings to allow you custom options for each game. Stats for these games are now universally tracked, and each team allows for a leader who sets the rules and three additional players. This mode has been an afterthought for years now, mostly used for quick games between friends. These changes do incentivize playing these exhibition matches somewhat, but with online ratings and the ultimate team I don’t see much reason for another tracking system for competition. Online modes are mostly unchanged. Playing online is always a hit or miss affair with sports titles and that’s definitely the case here. I had few issues but did find myself getting booted from servers mid-game twice, which warned me of potential server issues for online players to come. Lastly, the Journey is a dramatic story following three soccer players at different points in their career. You are given choices to sculpt the players personalities and have control of their successes. This mode is slow and a lot of story unfolds between action, but overall I find it well written and acted, so it’s fun as an option. Altogether, you have a FIFA that feels more fluid and free than ever, rewarding good placement and tactics, as opposed to lucky. The game looks as good as it plays, with beautiful graphics and an interface that is smooth and pretty. The game has a soundtrack of diverse sounds and genres, and the announcing in this game, when lines aren’t being repeated to death, is realistic and rarely blocky.